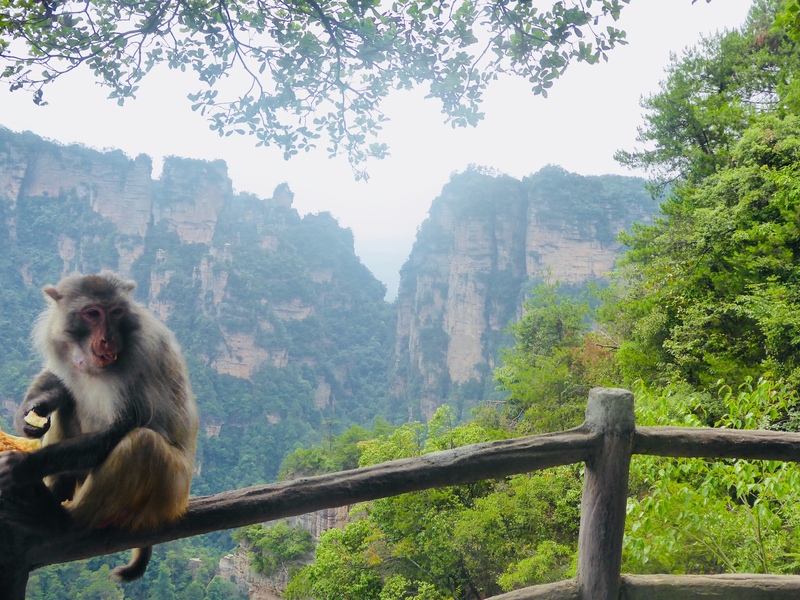 Having completed a short trip to Zhangjiajie, we thought it would be nice to start writing itineraries! We spent two shorts days there, but found that we had seen so many amazing places, and didn’t feel too pressured for time. 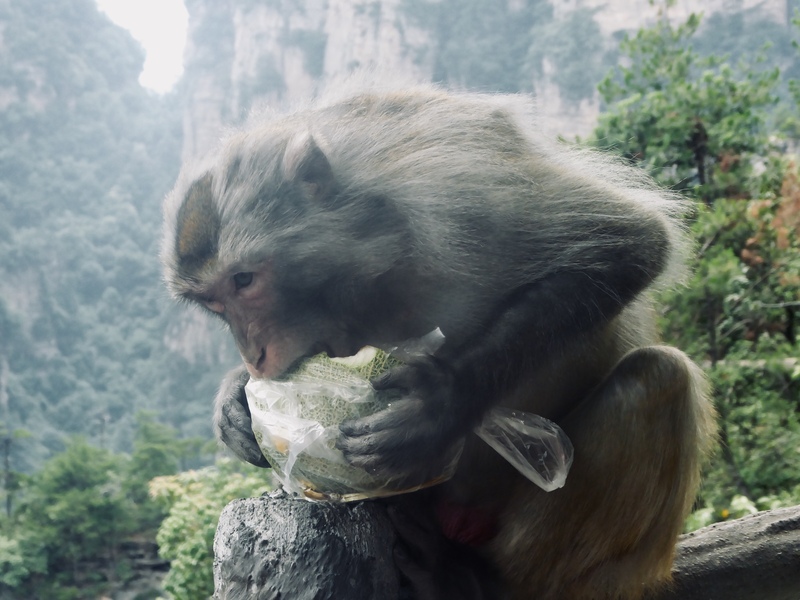 Whilst we were there, we went to see the avatar mountains, stayed overnight in a lovely village, and took the longest cable car in the world to Tianmenshan (Tianmen Mountain). Check out our photo gallery here, and our blog post here. Stay the night in Wulingyuan, take a walk and get some street food! 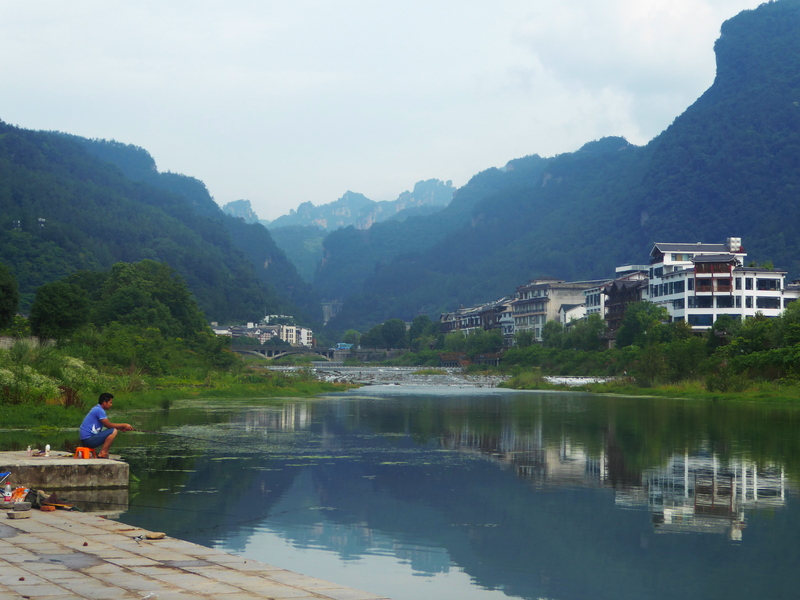 Spend an hour by the river in Wulingyuan and get some nice pictures. Go the the Wulingyuan bus station and get the bus back to the train station ( huǒ chē zhàn / 火车站 ) – show this to someone at the bus station. Get the cable car up to the top of Tianmen Mountain, walk around, and get the 99turns bus down from the bottom of ‘Heavens Gate’. 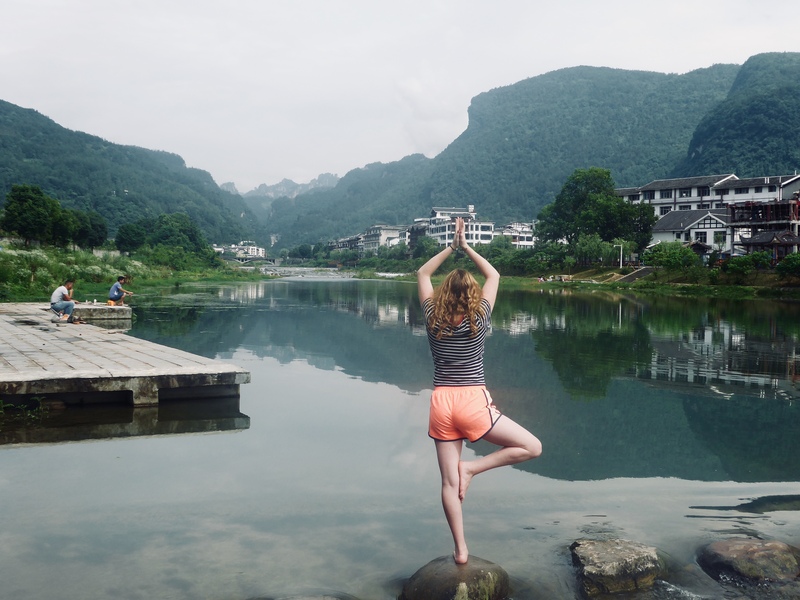 So with only two days in Zhangjiajie, we were able to visit two mountains and stay in a beautiful village, before getting the sleeper train back. 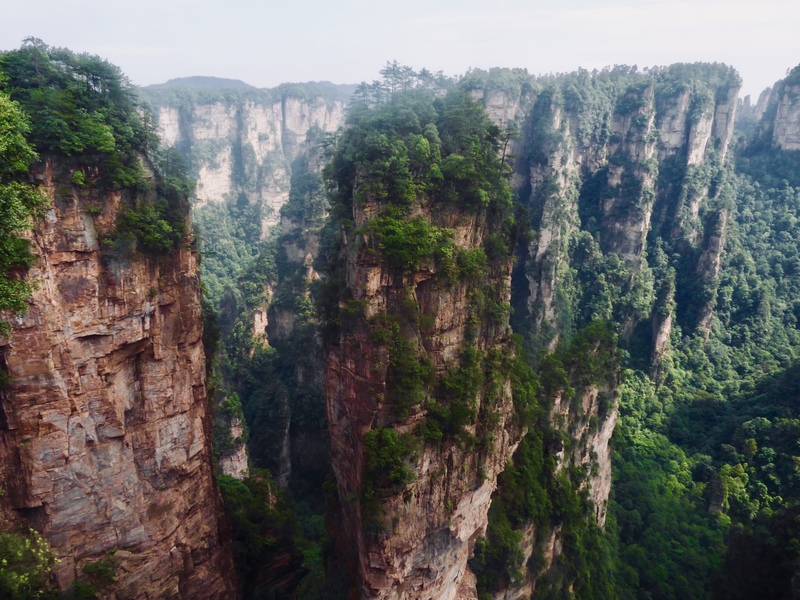 It’s worth noting that when you purchase a ticket for Zhanjiajie scenic area mountain, it’s valid for four days! So it’s definitely possible to extend your trip and see more – we were happy with one days visit. There are plenty of areas in the scenic area to get to, so do some research and see which parts you’d like. If you’ve liked this itinerary then please leave us a comment – we’d love to hear from you! Feel free to ask any questions and we’ll do our best to answer from our experience. The Zhangjiajie bus station is to the right of McDonalds as you leave the train station. When you walk in the bus station, you don’t buy your ticket until you are on the bus (it cost us 20yuan). The bus journey is about one hour. 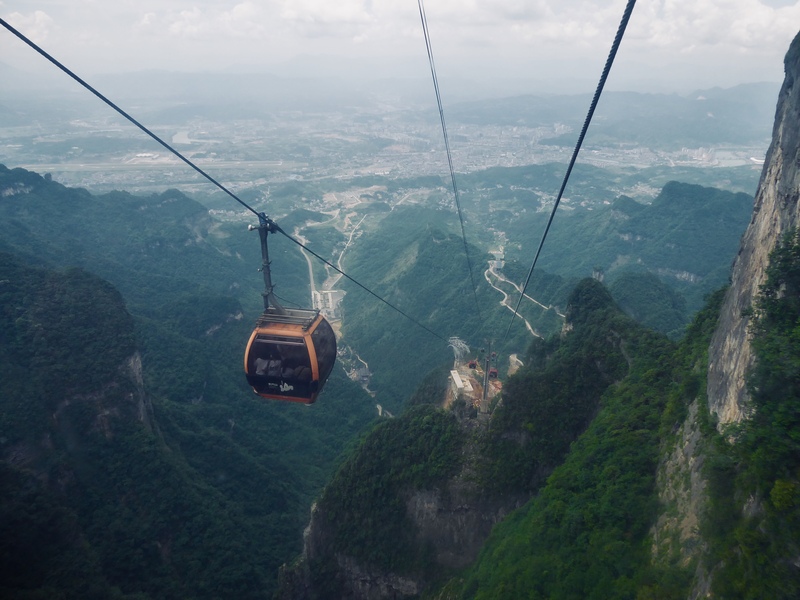 There are two options for the cable car/bus route up Tianmen Mountain. We recommend option A which is the cable car up, and the winding bus on the way down. Previous postGraduation – One Year Later. Next postFrom Warriors to the Wall: Xi’an, Tianjin, Beijing, Harbin.